© Jon Oliver / Salt Lake Brewing Co. While spirit lovers sip pitch-black cocktails and pound Dark and Stormy Death Punch on Friday, beer stalkers will have plenty of thematically appropriate brews to choose from, no mixing required. This year, a lineup of top craft breweries pay homage to zombies, blood, ghosts and even brains with some of the creepiest releases yet. Whether you’re throwing a party or drinking with the lights off to avoid trick-or-treaters, here are nine beers to stock up on this Halloween. If you are looking for something light, 3 Floyds salutes the British with this light English IPA. Made with all-English ingredients and aged on toasted oak, the result is a slightly hoppy beer with a taste of honey. From the brewery that brought summer’s controversial Hell or High Watermelon comes a seasonally perfect Halloween beer. Monk’s Blood dark ale is aged on oak chips and has flavors of cinnamon, vanilla and dried figs for a smooth, rich beer. 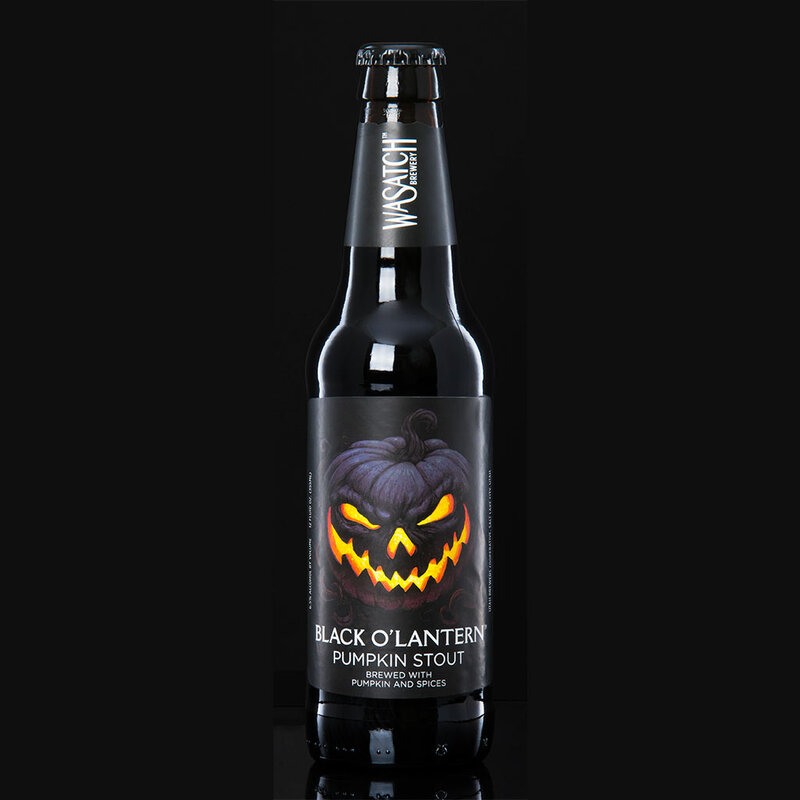 This stout from Utah’s Wasatch pours smooth and won’t overwhelm you with pumpkin-y flavors. It offers hints of nutmeg, roasted malt and chocolate. Black licorice, raisins, dark chocolate and coffee give this Russian Imperial Stout its rich full body. With the highest ABV on our list (10.2 percent) the Colorado beer is aged for four months, producing a warm and smooth stout. Brewed with Chico yeast and Warrior and Willamette hops, this beer is gentle on the pumpkin spices, with a touch of chocolate that gives it a deep, dark brown color. This heller bock beer from Oregon has a deep honey color and rich toasted malt flavor without being too yeasty. A little insider information about the label: It was originally designed as a tap label to pay homage to the Mayan Day of the Dead, but the design was so popular that it found itself on the bottled beer. Loaded with citrusy hops, this light IPA is an easy-drinking beer with a touch of coriander. This is the most Halloween-ready beer yet—if you can find it and stomach it. The recipe starts as an American pale stout made from wheat, oak, flaked barley and cranberries for a reddish hue. Pre-sparging, Dock Street adds smoked goat’s brain, which is more than a gimmick, imparting a smoky taste. The brewery originally released the creation in honor of AMC’s The Walking Dead and has just rereleased it in time for Halloween…and the Season 5 premiere. Expect a slight taste of iron, if you can get your hands on this beer. It sold out within days of the last release.